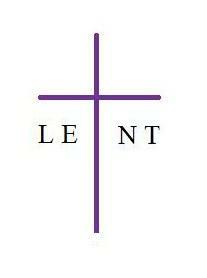 I recently attended Wednesday Lenten vespers at my dad’s church. Dad is not Catholic. He belongs to a conservative Lutheran denomination. I go with him sometimes. Part of it is about attachment to my heritage. My family has been active in that church for well over a hundred years. Back then, Dad’s grandparents and great-grandparents were relatively fresh arrivals from Germany. The congregation still rented a room adjoining a tavern. They would request that beery patrons hush during services. Part of my attachment is also aesthetic. I appreciate the arresting beauty of the old building: the wooden altarpiece with its elaborate spires; the stained glass windows, dating from around World War II, that display ships, shields, swords, and emblems of the four evangelists; the paintings of Jesus knocking on a door, of an angel whooshing down from Bethlehem’s inky night sky; the Corinthian columns touched up with gold leaf. And part of it is about deliberate immersion. From time to time, I seek to be around worshipers who are not like me. While the visual environment and liturgy at Dad’s church are almost Catholic, my fluid, humanistic Catholicism is unorthodox and dangerous in that space. All sermons, on all occasions, pound such themes home. It does not matter what the readings are. It does not matter why you are there: Christmas Eve, Easter sunrise, the building anniversary. I have listened while Matthew 25:31-46 (“what you do to the least of these, you do to me”) was transformed, with breathtaking chutzpah, into an argument for salvation by faith and faith alone. Among much else, the pastor expressed categorical, tense-jawed suspicion of people who joined volunteer programs like the Peace Corps, and who might cite Matthew 25 as a reason. He seemed to think they explicitly understood themselves as buying salvation with works. Wednesday evening prayer was, therefore, unsurprising. Our guest preacher’s text was Matthew 26:47-56. Synopsis: Judas betrays Jesus with a kiss. Peter, in a fit of understandable pique, hacks off somebody’s ear. Jesus says don’t do that, gets arrested. The unifying motif for the sermon was “hot and cold.” Some sins, the pastor said, were “hot.” Consider Peter, his spur-of-the-moment rage. Others were “cold,” like Judas plotting to turn Jesus in to the Sanhedrin for a finder’s fee. Such were our own sins. Some were “hot” and many of them, indeed the worst of them, were “cold,” very cold. “Each one of us deserves a luxury suite in hell,” the pastor said. I looked to my left. Two little grade-school girls sat in a pew beside their mother. They had blond ponytails. They wore glasses with frames too big for their faces. I wondered how much of this they grasped. I wondered if they believed they deserved luxury suites in hell. But God, the pastor said, knew from before creation how we would fall. And so God established every detail of how to fix it by handing Jesus over to death. Back to “hot and cold.” Pastor explained that out of “cold-blooded mercy,” God “refused to intervene” in Jesus’ arrest, scourging, and execution. No other father could remain “cold-blooded” for long enough. No other father could stay perfectly aloof from his son’s pain until its purpose was complete. But God could. For us. I do not exaggerate. It is what he said. God’s “cold-bloodedness” was praised several times. The sermon ended. We sang a song. We prayed some intercessions and recited the Our Father. Then we retired to the basement, where we had coffee, several kinds of cake, deep dish pizza, and carrot cookies with creamy white chips. The disconnect between upstairs brimstone and downstairs bounty was profound. Like hot and cold. I think of those two girls. I think of their proposed luxury suites in hell. I think of the emotional hyper-detachment of the God in the sermon. “Cold-blooded.” As much a masterminding plotter as Judas. Insisting on every dollar owed. Dispassionately maneuvering Jesus like a chess piece to satisfy the transaction. Requiring that we present receipts for this transaction. How I longed, while listening, for the God of Isaiah 66. That God speaks of nursing, comforting, and birth pangs. But mostly, I consider how the impact of a given theology accumulates across time, in diverse situations, and between people. How do those with a spiritual backdrop of “cold-blooded mercy” raise their children? How do they explain to their kids what love is? How do they model what love looks like? What abuse, if any, do they put up with? How good is their self-care? How do they maintain healthy boundaries? Above all, I wonder how they might distinguish between those in society who are “deserving” and “undeserving.” I wonder whether their resulting civic participation reflects the instinct to nurture and show compassion, or the urge to dominate and punish. This entry was posted in Spirituality and tagged Christianity, Lent, Liturgy, sin, spirituality, substitutionary atonement, theology by Justin Sengstock. Bookmark the permalink. I think of Reinhold Niebuhr, who was able to draw a very passionate activist orientation to life from a similarly depraved view of humanity, but then his theology wasn’t as tough as the one you heard. The image of God sitting there and waiting out Jesus’ tortured death is particularly chilling. Yes. Indeed. To be clear, I find value in my half-Lutheran heritage. One important check I’ve imposed upon myself, since I’ve begun my sojourn in the progressive activist world, is to remember a particular Divine Service setting (there are several Sunday liturgy options to choose from) that begins with reciting 1 John 1:8: “If we say that we have no sin, we deceive ourselves, and the truth is not in us.” And Martin Luther himself, as I appreciate more now than before, was a very interesting man interacting with a very particular context. His emphasis on depravity, his great weight on “sola fide, sola scriptura, sola gratia,” was a sharp, specific counterpoint to Renaissance popes who sold indulgences (what Luther especially had in mind by “works”) the way modern Romans sell pope-head beer-bottle openers (of which I own two, Benedict XVI edition). But alas, when a theological heritage is cryogenically frozen and then shoehorned into another world, you get these kinds of messes: including a God who, it seems, behaves worse than most of us ever do. This reminds me of Bishop Spong’s session at, I think, the 2008 CTA conference. Maybe you were there. He essentially compared this view of God as being similar to a parent who says, every time he gives something good to his child, “You’re a horrible human being, but I’m feeding you anyway because I love you so much.” When seen in this context, we can recognize abuse, and we also know that most who grow up to be abusers suffered abuse as children. Applied to a theological context, I think many suffer a sort of “spiritual abuse” by understanding God in these terms, and also face the danger of passing that abuse onto others in the name of God. I know Spong and I were both there in 2010, when I first got involved in CTA. I don’t remember him making that particular observation in 2010, but it’s definitely the sort he would make. And it captures the essence of what I am getting at very well. Yes, “spiritual abuse” is an excellent, illuminating lens. If human-human Relationship X looks like this, and is abusive, would not human-divine (or human-church) Relationship Y be abusive if it follows the same pattern? Should not the comparison make us rethink our relationship to that God, to that church? I am reminded of a book I know you and I have both read, A Church of Her Own by Sarah Sentilles. I don’t recall the exact quote, and I’m not able to find it quickly. But it went something like this: Sentilles’ boyfriend asked her why she would endure treatment from a church that she would never accept from an intimate partner. This question was so startling it became a dividing line in her life.